In Soviet Russia the good things were very good. In Soviet Russia the big things were BIG. Yesterday i saw a child walking with a big colorful balloon and imagined him flying to the sky. And it reminded me of Misha – the mascot of 1980 Summer Olympics in Moscow. Very few of the people who grew up in the Soviet Union won’t at least shed a tear when seeing the finishing ceremony of that olympiad. Its high point was “saying goodbye to Misha”, as he was released into the sky holding onto colorful balloons to the sounds of a sad farewell song. Everybody in Russia remembers the song. More than this, this is The Great Unifying Moment of post-Stalin Russia, comparable to 9/11 and Kennedy assassination. So watch this movie. Don’t miss Misha himself shedding a tear at 0:47. If this movie doesn’t make you cry, then you’ll never really understand anything about Russia. Here’s the song. Lyrics – Nikolai Dobronravov, music – Aleksandra Pakhmutova. My translation is lousy, but i tried to make it rhyme; improvements are welcome. Website of the authors with links to music files is here: До свиданья, Москва. Time of miracles is melting away. Go back home to your wood of fairy tales. Wish a new meeting soon to us all. Will forever be cherished and sang. We shall cherish the song. Farewell, we shall meet again. This is an amazing quote, even though it is wrong. I waited for it so long – the vegetarian lolcat. I have never heard about her, but And when i saw her user page, it made me cry. Internet people are people too. So why not pay an Internet tribute. Oh (edit): Crap, it seems that it was a hoax. My translation of Aquarium’s “My Ant” – see it at The Bodhisattvas of Babylon. 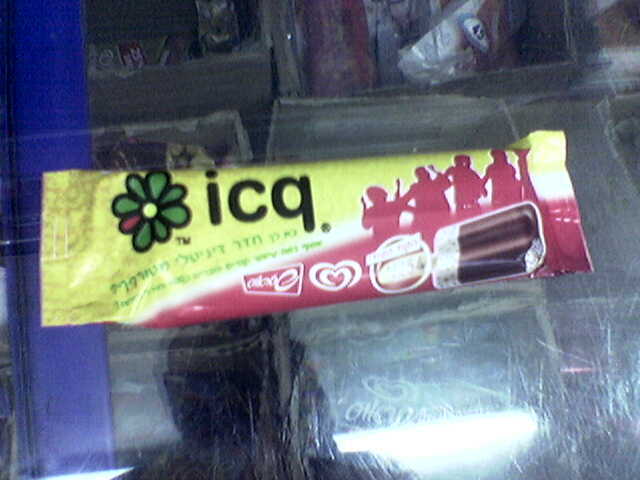 ICQ is an ice cream too.